How Cognitive Anomaly Detection Will Affect Industrial Internet of Things? Global experts have predicted that IIot market will rise beyond everyone’s expectations. It is reported that it will add approximately $14.2 trillion to the global economy by the time 2030 hits (according to research by Accenture). But ever since, it has been facing hurdles just because the traditional methods aren’t able to detect and predict anomalies. Recently, Cognitive Anomaly Detection has come to the picture, but will it be able to perform as expected? Well, to know about this, you should know about IIoT and Cognitive Anomaly Detection. So, let’s get started! The term IIot was coined by GE in late 2012. IIot or Industrial Internet of Things is the bigger picture of concept known as Internet of Things. IIoT brings the potential of ML and Big Data technology into play. With this, upgrading automation technologies to a next level of self-contained performance will no longer remain an uphill task. Consider the amount of data that sensors or Internet of Things all over the world are collecting, without proper analytics the use for these will cease to exist and we’ll eventually delete them. This will leave process of data collection useless. But with IIoT, the data can be combined with other systems and get processed in a much easier way. But what is Cognitive Anomaly anyway? What Is Cognitive Anomaly Detection? CA detection is a process which identifies the anomalies in IIoT data(huge chunks that were useless earlier)with the help of unsupervised learning and pattern recognition. With these, the appearances of false alarms can be reduced considerably. Also, with detection of faults and failures at right time we can save time and resources significantly. Read Also : How Blockchain And Cognitive Computing Will Boost IoT? If the statistics are to be trusted, then there are near to 6k sensors on an A350 plane which are capable of generating 2.5 petabytes of data per flight. The sectors such as car manufacturers, power plants, oil rigs, assembly lines, etc., are also not far behind. With thousands of sensors operating continuously, they are producing a whopping amount of data on daily basis. However, the IIoT companies cannot utilize more than 20% of the data produced. Yet, we are still striving to find the usage of all these data collected because we aren’t able to identify the patterns that matter. We need to find anomaly on large scale to increase the utilization rate of the equipment’s and reduce fuel required. Also, there are many other anomalies such as latency problem that directly affect real time data, failure to predict the lifetime of the small parts, expenses involved in employing manpower, and several others. As mentioned above, Cognitive anomaly is powered by machine learning and data analytics which help IIot to find solutions and overcome the problems that traditional methods fail to predict or resolve. However, just finding anomalies is not sufficient. Since there are several types of anomalies, differentiating the good and bad ones becomes a hard nut to crack. So, if we can connect and correlate in order to predict failure we can save huge amount of time and assets. On this, Data Scientist Taj Darra has conveyed that When ML is enhanced with a cognitive IoT framework, it enables IIoT businesses to detect anomalies from the initial ingestion of sensor data to outputting predictions and determining whether or not something is an anomaly in just 2 days. This is quite impressive as now all the sensors can be measured in parallel. 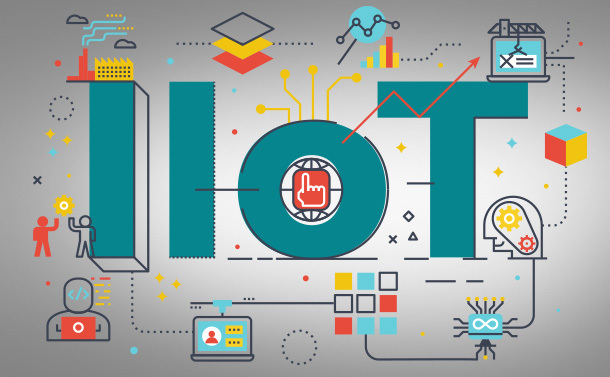 Read Also : Are We Ready To Embrace IoT Despite Security Challenges? The Cognitive Anomaly Detection is done in phases and they are carried out in the exact given sequence. Connect, detect, validate, predict, and act. First, we connect to structure data sources and then we detect if the entities found can be considered as an anomaly or not. The process continues in the validation process and then predictions are made. As soon as this process is complete, you can connect to the API of your system to act. By carrying out this approach you can easily predict the breakdown of approximately 75% of parts before they start behaving abnormally. Therefore, we can say that combining these two will help us upgrade our practices. We cannot deny that an enormous amount of data unnecessarily takes space because we lack effective practices, replacing traditional methods with new ones will surely serve our purpose. Also, if we gain control on huge chunks of data produced daily, then we’ll be able to enhance asset failure management, reduction of unplanned downtime, improved failure prediction, minimize maintenance costs, optimize resource usage, prevent quality issues and minimize warranty claims, and enhanced asset life. It’s high time that we upgrade! We hope that this works as the data experts have promised so that we have a better tomorrow! What are your views on this, do let us know in the comments section below!